U.S. stock futures fluctuate as Investors grapple with an impending global trade war; France's AXA to buy XL Group; 'The Shape of Water' wins best picture. U.S. stock futures fluctuated on Monday, March 5, as investors grappled with an impending global trade war and rising government bond yields. Contracts tied to the Dow Jones Industrial Average fell 55 points, while those tied to the S&P 500 were down 6.20 points. Nasdaq futures rose 8.50 points. Stocks finished mixed on Friday, March 2, as investors reacted to Donald Trump's plans to impose strict import tariffs on steel and aluminum, and the potential for a growth-damaging trade war between the U.S. and its various commercial and economic partners. The Dow finished down 70 points, or 0.29%. At its session low, the Dow was down 391 points. The S&P 500 rose 0.51% and the Nasdaq gained 1.08% as healthcare stocks rose. For the week, the Dow lost 3.05%, the S&P 500 declined 2.04% and the Nasdaq fell 1.08%. For Monday, the economic calendar in the U.S. includes the PMI Services Index for February at 9:45 a.m. ET, and the ISM Non-Manufacturing Index for February at 10 a.m.
Earnings are expected Monday from Analogic Corp. ( ALOG , Ascena Retail Group Inc. ( ASNA - Get Report) , Caseys General Stores Inc. ( CASY - Get Report) and Michaels Cos. ( MIK - Get Report) . AXA SA said Monday it agreed to acquire XL Group Ltd. (XL in a deal valued at around $15 billion that will create the world's biggest property and casualty insurance company. AXA, Europe's second-largest insurer, will pay $57.60 for each XL share, a 33% premium to XL Group's closing price on Friday of $43.20. The proposed deal has been unanimously approved by the boards of both AXA and Bermuda-based XL, and is expected to close in the first half of 2018 subject to shareholder approval. "This transaction is a unique strategic opportunity for AXA to shift its business profile from predominantly L&S business to predominantly P&C business, and will enable the group to become the No. 1 global P&C Commercial lines insurer based on gross written premiums," said AXA CEO Thomas Buberl. "The transaction offers significant long-term value creation for our stakeholders with increased risk diversification, higher cash remittance potential and reinforced growth prospects. The future AXA will see its profile significantly rebalanced toward insurance risks and away from financial risks." United Airlines is reportedly dropping quarterly performance bonuses the carrier had been giving out to all qualified employees and replacing them with a lottery-style drawing. According to the Chicago Business Journal, United President Scott Kirby issued a memo to employees that said bonus payouts would be replaced with a new program called "core4 Score Rewards." The new program would include quarterly prizes like cash ranging from $2,000 to $40,000, luxury cars, vacation packages, and a grand of prize of $100,000 awarded to one eligible employee per quarter. "As we look to continue improving, we took a step back and decided to replace the quarterly operational bonus and perfect attendance programs with an exciting new rewards program called 'core4 Score Rewards'," read the memo from Friday. 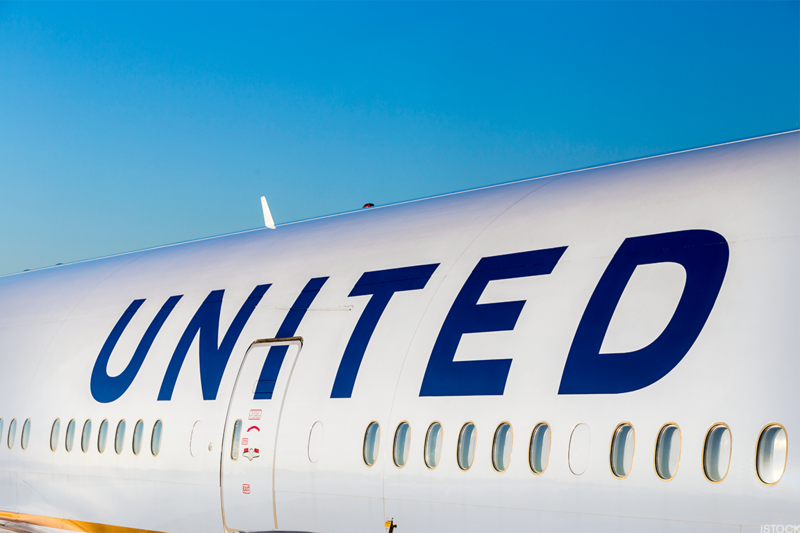 A United spokesperson told the Chicago Business Journal that the new prize program was intended to "build excitement and a sense of accomplishment." But the announcement has been met with a "firestorm" among employees, the report said. United Airlines is a unit of United Continental Holdings Corp. (UAL - Get Report) . Broadcom Ltd. (AVGO - Get Report) said on Monday that Qualcomm Inc. (QCOM - Get Report) secretly requested a United States national security panel on Jan. 29 to start an investigation into its proposed $117 billion buyout offer, leading to a delay in Qualcomm's March 6 shareholder meeting, Reuters reported. The Committee on Foreign Investment in the United States, which has the power to stop deals that could harm national security, on Sunday, March 4, asked Qualcomm to postpone the annual meeting and election of directors by 30 days. Singapore-based Broadcom plans to complete its move back to the U.S. by mid-May to remove a roadblock to the proposed deal to by calming concerns at CFIUS, Reuters reported on Friday. Broadcom on Monday said Qualcomm didn't talk about submitting a voluntary notice to CFIUS in any of its interactions, including in the two meetings the companies had on Feb. 14 and Feb. 23. "Broadcom was informed on Sunday night that on Jan. 29, 2018, Qualcomm secretly filed a voluntary request with CFIUS to initiate an investigation, resulting in a delay of Qualcomm's annual meeting 48 hours before it was to take place. This was a blatant, desperate act by Qualcomm to entrench its incumbent board of directors and prevent its own stockholders from voting for Broadcom's independent director nominees," Broadcom said in a statement. Broadcom is a holding in Jim Cramer's Action Alerts PLUS Charitable Trust Portfolio. Want to be alerted before Cramer buys or sells the stock? Learn more now. "The Shape of Water," directed by Guillermo del Toro, won best picture at the 90th Academy Awards on Sunday. "The Shape of Water" won an additional three awards, including best production design, best score and best director for del Toro. This article has been updated from 6:09 a.m. ET.